Kiwi is a designer with attitude! Glam up your wardrobe with gorgeous Kiwi jackets from Beige. 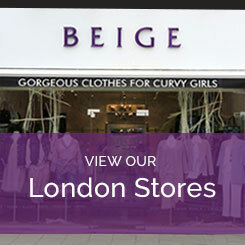 Buy Kiwi plus size clothing online or call into one of the Beige stores in London.